That’s right, we’re holding our favorite ride of the year, the Solana Beach Train Ride! We’ll leave the Irvine Amtrak Train Station, do some climbing, and then ride down the coast to Solana Beach. After enjoying some of the best pizza you will ever eat and a beverage of your choice, you’ll put your bike on a U-Haul and board a train (Amtrak Train #785 departing at 4:36 pm) for the ride back up to Irvine (https://www.amtrak.com/home.html). Please note you can only purchase one ticket at a time as each person must agree to the liability waiver. This is our MOST popular ride of the year and space is limited. Registration fee is $30 which goes toward the rental of the U-Haul and incidentals required to put on the event. $30 fee does NOT cover the cost of your pizza or the train fare. Pizza and train details will only be provided to ticket holders. DO NOT WAIT TO REGISTER! We anticipate a packed registration. We will not be offering waitlisting for anyone! 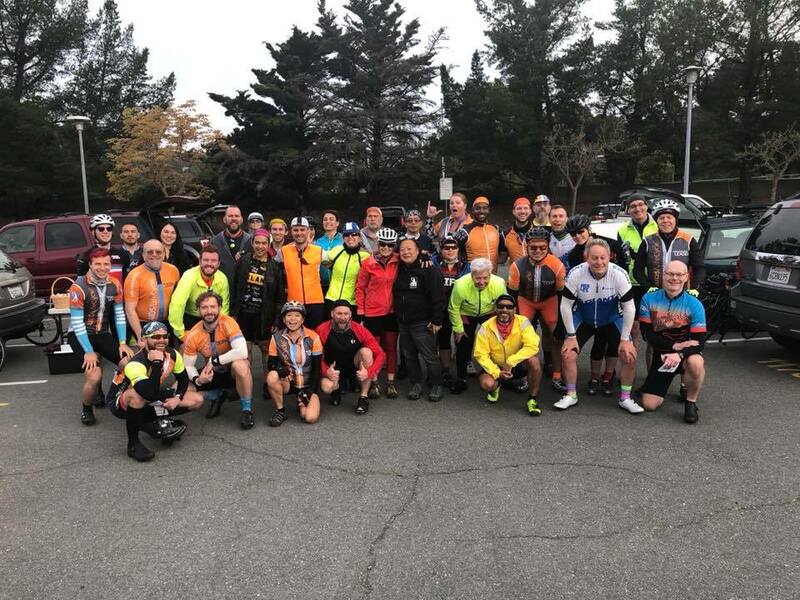 We limit the number of riders based upon bike shipping UHaul capacity so do not miss out on this great riding opportunity! Due to changes in security procedures that will require in-person registering well in advance for access to Marine Corps Base Camp Pendleton we WILL NOT be riding through the base but instead we will use the 5-freeway shoulder bike lane. We’re offering two routes – a 71-mile route (approx 4700ft of climbing) and a 89-mile route (approx 5500ft of climbing); both routes offering challenging climbs. The 71-mile route takes you up and into Mission Viejo before taking you back to the beach via San Juan Capistrano and San Clemente. 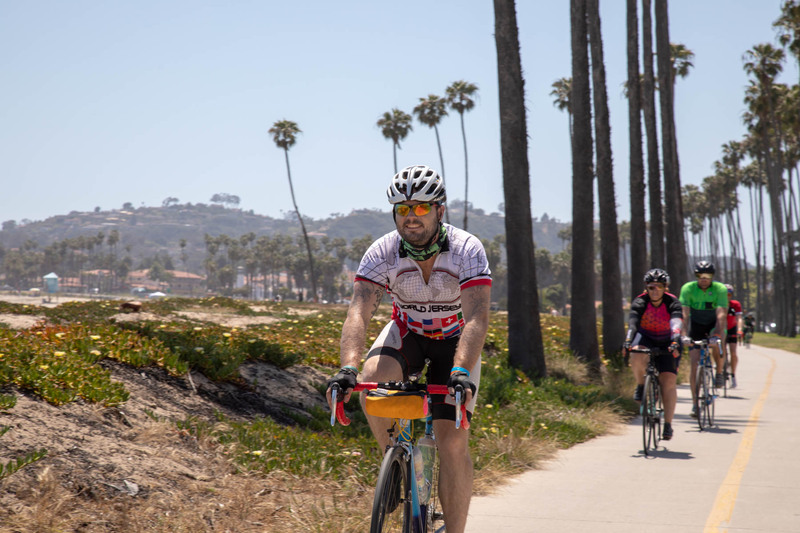 The 89-mile route will take you through the very scenic Santiago and Trabuco Canyons before taking you through San Juan Capistrano and on to San Clemente and San Diego. Both routes travel through Camp Pendleton (on the fwy), Oceanside, Carlsbad and on to Encinitas and Solana Beach. NOTE FOR THE 89 MILE RIDERS: The last safety speech for the 89-mile route option is given at 6:45 am and you must be on the road immediately after it is given. 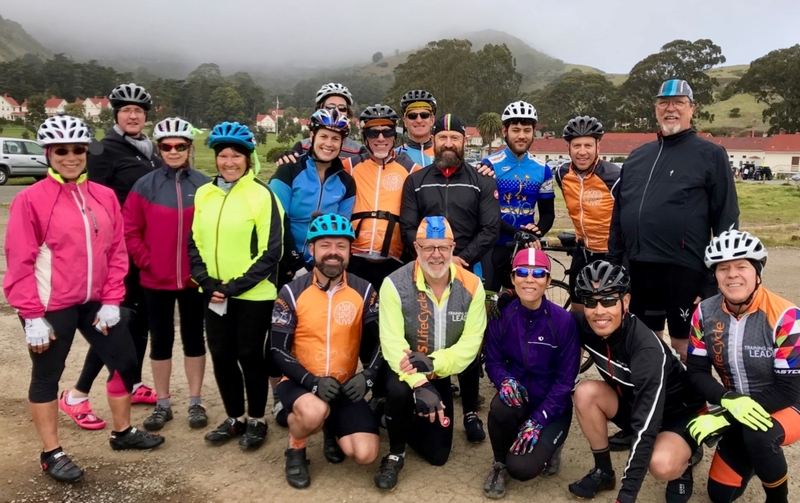 If you are have chosen to ride the 89-mile route and you were not present AND ready to ride at the safety speech given at 6:45 am or earlier and don’t depart immediately following it you will be riding the 71-mile route. If you are wondering if you are ready for this ride, please contact us at leaders@teamoccycling.org and we’ll be happy to discuss it with you. This is an official ALC training ride. We will be abiding by all traffic laws and by all ALC rules. You must be present and be ready-to-roll BEFORE the last safety speech. The last safety speech is given at 7:30 am. Riders not present at the safety speech in ready-to-roll condition will not be provided route slips and will not be considered official participants of the ride. Refunds will not be provided.